This guest post by Martijn Schirp continues from Part 1, discussing the Interdisciplinary Conference on Psychedelic Research that he attended. It was originally published on higHExistence.com. If we recognize the plant as an autonomous power which enters in order to put roots and flowers in us, then we distance ourselves by several degrees from the skewed perspective which imagines that spirit (Geist) is the monopoly of human beings and doesn’t exist outside of them. A new world-picture has to follow the planetary leveling; that is the task which the next century will take up. –Ernst Jünger, The Plant as Autonomous Power. Where are the liberating effects of these plants and chemicals to be found? Of course in the consciousness of their users and the technologies and wisdom they produce. But there is a lesser-known revolution going on. I was pleasantly surprised by Raph Borges’ talk about ethnobotanical research being done at an online community called DMT-Nexus. DMT stands for dimethyltryptamine and is extremely interesting for many reasons. It is abundant in nature, and is even produced endogenously in our own bodies (and as such, can never be completely controlled). DMT is completely non-toxic, has short-lived effects (leaving the system within 20 minutes of smoking) and does not cause any hangovers or withdrawal symptoms. And, most importantly, it is surprisingly easy to extract DMT yourself. DMT-Nexus has been researching techniques for extracting and using DMT for years, and has made it possible for anyone to do it at home with no prior knowledge of chemistry whatsoever. All you need is a plant source of DMT (which can be found anywhere), a non-polar solvent (available from many DIY shops), a bong or pipe to smoke it, and a mind willing to take a powerful journey into the mystical realms of hyperspace. In many countries, DMT is a Schedule 1 or Class A drug—quite funny, since then our own bodies are against the law. That’s not an exaggeration—according to the US Controlled Substance Act, “any material, compound, mixture, or preparation, which contains any quantity of” a Schedule 1 substance is classified as Schedule I. DMT has been discovered in a wide variety of plants and animals, including human beings, mice, and many plants; the precursors and enzymes needed to create it exist in most complex organisms. By the letter of the law, possession of any of these “materials” constitutes a violation of American law. Many countries have similar provisions. Therefore I would not recommend anyone to extract DMT. I mention it here for educational purposes only. Everyone is entitled to know why The Spirit Molecule is being kept away from them. A groundbreaking psychedelic study was conducted at Johns Hopkins in 2006. Another of the most interesting talks was given by Mathew Johnson, one of the pioneers of the second wave of psychedelic research. The talk can be found online here. 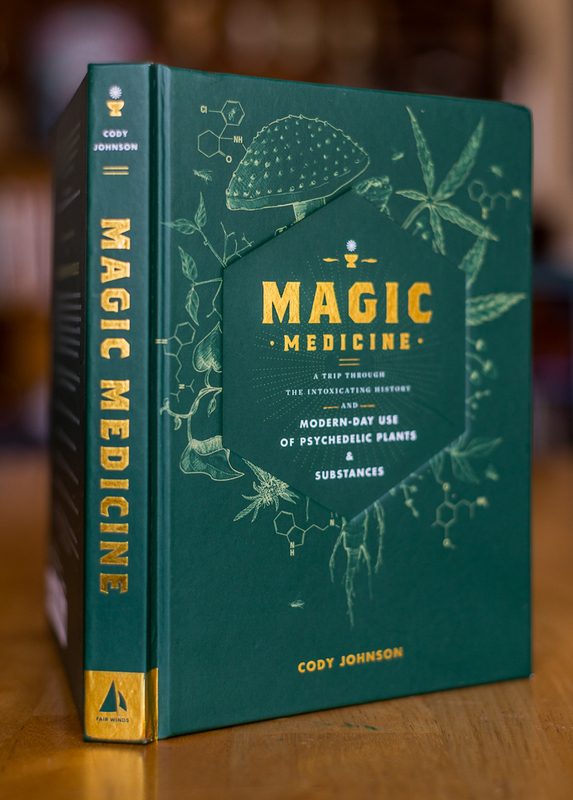 It focuses on the initial double-blind study conducted at Johns Hopkins University in 2006 that assessed the effect of psilocybin, the active ingredient of magic mushrooms. The research group, headed by neuroscientist Roland Griffiths, studied 36 healthy and spiritually involved adults who had never taken entheogens before. Half were given psilocybin and the other half methylphenidate (Ritalin), intended to resemble as closely as possible the physical effects of psilocybin. The sessions were held in a hospital room decorated like a living room. The participants lay down on a couch, listened to classical music through headphones, wore eye masks, and were told to focus their attention inward, be open, and let go. The results were beyond amazing. Seven hours after the session the participants were asked to fill out a Pahnke Richards mystical experience questionnaire. The questionnaire consists of the categories Unity, Sacredness, Intuitive Knowledge, Transcendence of Space & Time, Deeply Felt Positivity and Ineffability, and Paradoxicality. All of the psilocybin subjects scored significantly higher on all the ratings compared to the control subjects. When interviewed a year later, 94% of the subjects rated it as one of the top five most spiritually significant experiences of their lives. For the first time in scientific history, a chemical was shown to reliably invoke deep spiritual experiences. Even though 7 out of 18 participants reported extreme fear of insanity or of being trapped in the experience, all of them reported an increase in well-being and life satisfaction in the 2-month and 14-month follow-up questionnaires. As experienced users often attest, even bad trips can cause beneficial changes. Researchers noted that reactions of fear and anxiety did not outlast the session in any subjects, and were handled with gentle reassurance by the research team. These results probably have to do with another spectacular result of this initial study. When assessing someone’s personality, psychologists often use the Big 5 traits: Neuroticism, Openness, Extroversion, Agreeableness, and Conscientiousness. It was traditionally thought that these traits did not change significantly after a certain age. However, this study found out that one of these dimensions can change, and a very important one at that—Openness to new experiences and perspectives. And not just during the trip. Psilocybin was shown to cause a long-term increase in openness, defined as an increase in aesthetic appreciation and sensitivity, imagination and fantasy, and broad-minded tolerance of others viewpoints and values. (Caution is advised, though, as extremely high scores on Openness have been correlated with schizophrenic behavior.). The Johns Hopkins study showed that mushrooms—at least in controlled, supportive settings—can cause long-term positive changes in the people who take them! Another important result of a psychedelic study discussed at the conference was the correlation between mystical experiences and drug dose. Fans of the late Terence McKenna might believe that the higher the dose, the more you can get out of the trip (McKenna famously advocated five grams of dried mushrooms, alone in silent darkness). Yet, this has proved false (if we take “mystical-ness” as our yardstick). A higher dose does not correlate with a higher chance of getting a mystical experience, it does, however, correlate with a higher chance of getting a bad trip. It is thus better to focus on your intentions (set) and the ecosystem you find yourself in (setting) than to stare blindly at the dose. It also implies that which we take with us is just as or even more important than the drugs we take. In the last part of this three-part article I will discuss the implications of mystical experiences, and how they show us that we are not separate from the world around us but an implicit expression of it.